New divers all over the world have practiced the mask clear skill time and time again, yet there would not be many to complete the skill in the company of Sealions full of fascination! 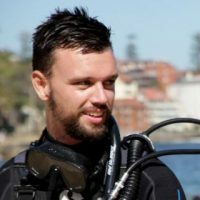 This is what Stefan Andrews, the 2013 Australasian Our World-Underwater Rolex Scholar recently experienced whilst instructing his good friend and beginner diver through a PADI Open Water course in South Australia. Stefan filmed the mask clear skill as part of a series of videos which aim to showcase the quality of diving in the South Australian waters. With this great diving destination choice, and a little bit of luck, Stefan’s student was able to have arguably one of his most memorable mask clears. There are numerous dive locations throughout South Australia brimming with natural beauty and marine life. Interested to know more? Check out some of our suggested hot dive sites for diving in Australia and South Australia specifically. See the mask clear ft. Sealions video below or find out more about Stefan Andrews and his marine conservation efforts. 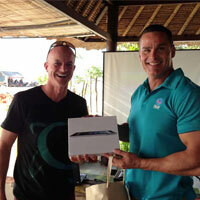 Live the Diving Dream Contest (Asia Pacific) – a great success for PADI Divemasters!